As the youngest Race Chairman in the history of the Newport Bermuda Race, 34-year-old Alton J. Evans has the helm of the 50th “Thrash to the Onion Patch,” which starts Friday, June 17, 2016. A member of the Storm Trysail Club for a decade, A. J. is currently on the club’s governing board. 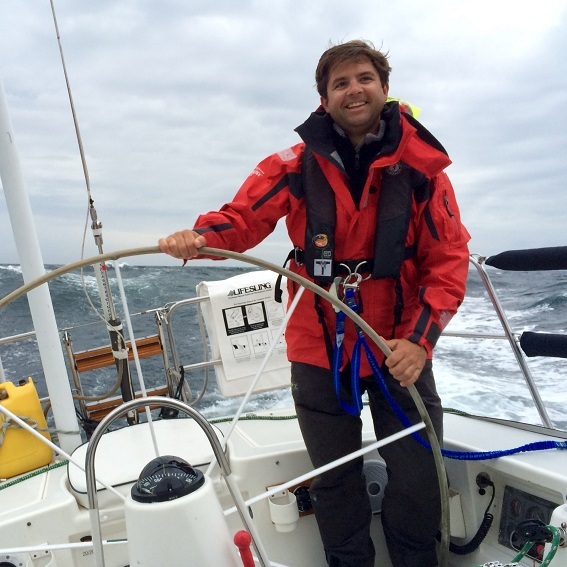 He’s a member of the New York Yacht Club and serves on the club’s Sailing Committee and Race Committee, as well as the National Sailing Hall of Fame’s Youth Advisory Board. A maritime lawyer by profession, he’s Chairman of the New Jersey State Bar Association’s Maritime and Admiralty Law Special Committee.